We love a good, old-fashioned pie as much as the next person. 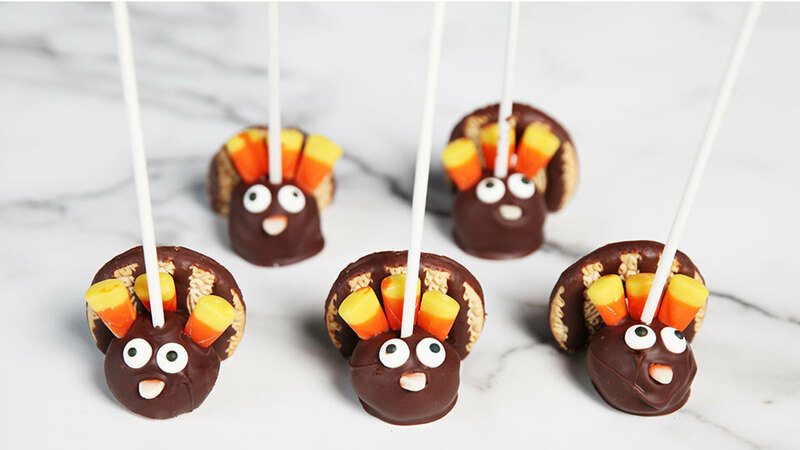 But these chocolate peanut butter turkey pops are kind of irresistible, aren’t they? Just mix up the dough, roll into balls, dip in chocolate and decorate. They’re simple enough to make with your kids. In fact, you might even have enough time to make these and pie — they’re that easy. 1. 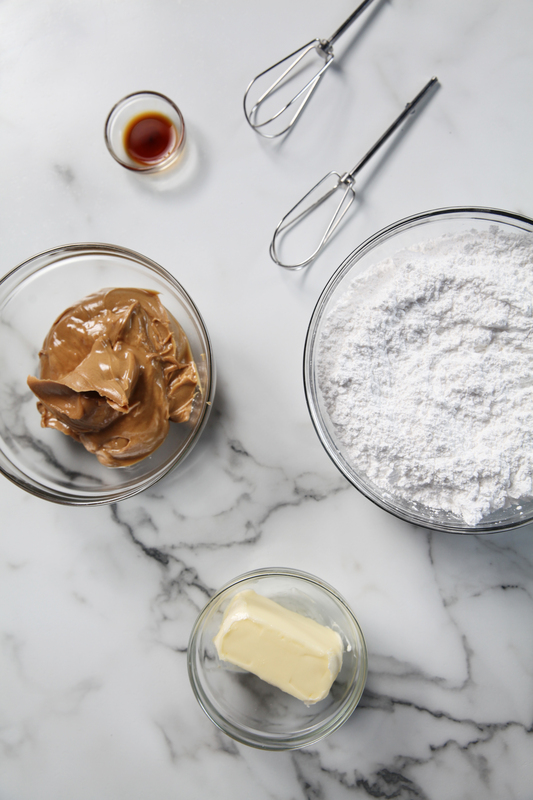 In the bowl of a mixer, beat peanut butter and butter. Stir in vanilla. Add powdered sugar and beat on low speed until smooth. 2. 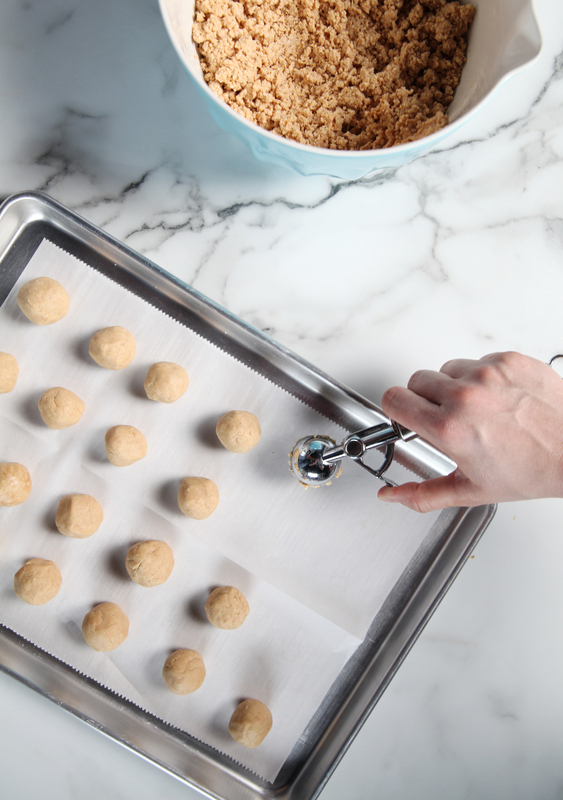 Roll into 1-inch balls and place in the freezer for at least 1 hour. 3. Place the chocolate in a deep bowl with the coconut oil and microwave for 10 to 15 seconds at a time, stirring between intervals, until melted. 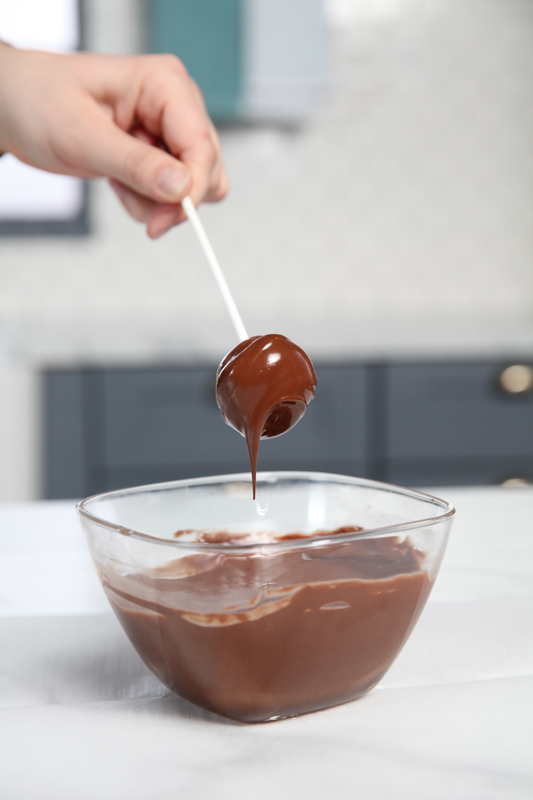 Dip the treat stick in the melted chocolate then insert it chocolate-end first into the peanut butter ball. Return the balls to the fridge to allow them to cool. 4. 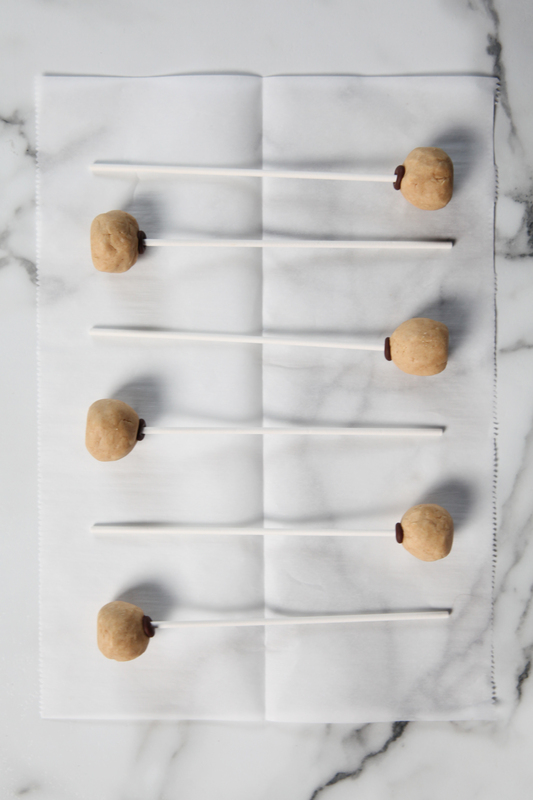 Completely cover the chilled peanut butter balls in chocolate, then tap off any excess chocolate. 5. Add candy eyes in the front. Cut the tip of a piece of candy corn and place it below the eyes on the face as the beak. 6. 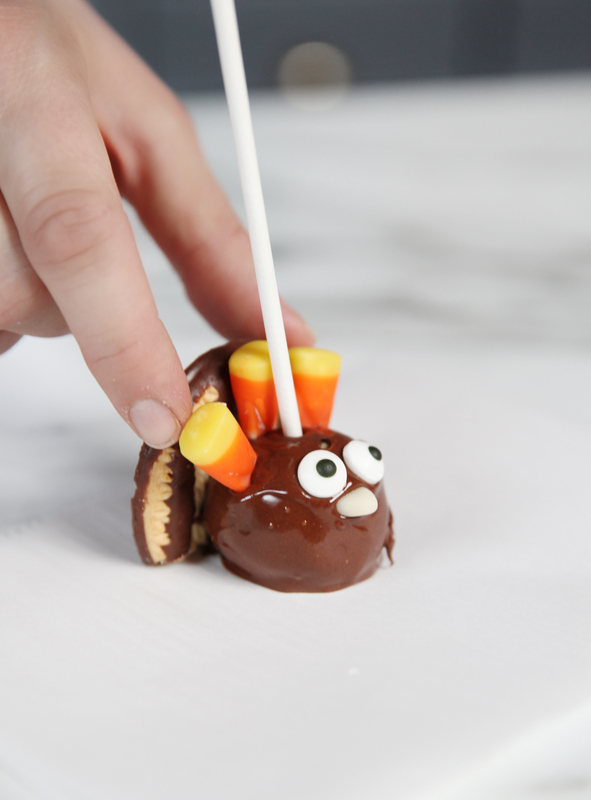 Add three candy corns as feathers. 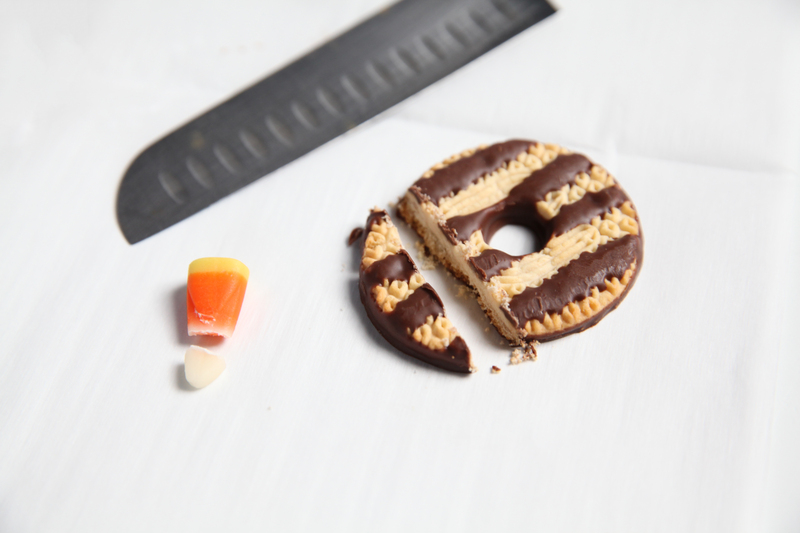 Cut the lower portion off the fudge-stripe cookie and use chocolate to attach it to the back of the turkey pop. Check out the video below to see how it’s all done.